We provide leading locksmith services, so we are dedicated to installing high quality alarm system products for Utah homeowners. 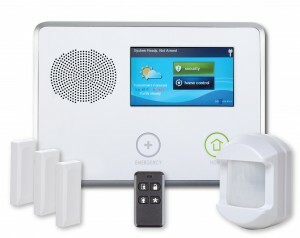 Wireless home alarm systems allow you to easily secure your Utah home with touchscreen control and other home automation features like automated lights, locks, and thermostats. Whether you are at home or away, your wireless alarm system will give you an advanced security alarm solution at an affordable cost. 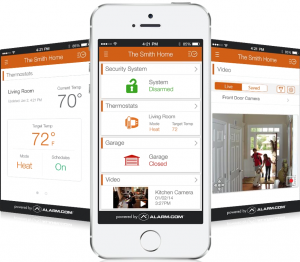 You can receive alerts to your smartphone and disarm and arm your alarm system from anywhere. 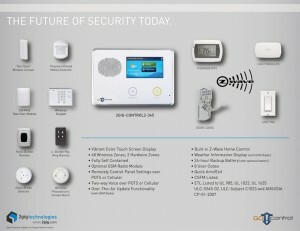 Alarm.com controlled alarm systems are being used by more than 2,000,000 people to protect their homes and businesses. Keeping your home protected and secure is our biggest concern. Unlike other systems that work through your telephone line, Alarm.com systems use a dedicated celluar connection for reliable, uninterrupted service. 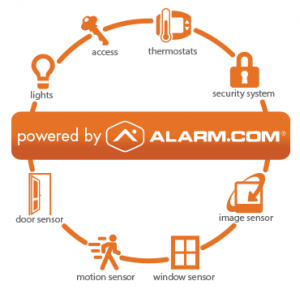 You can manage your alarm and many of your home’s systems. View cameras, control and adjust your thermostat, unlock doors, and turn on lights from your computer at work or on your smartphone app. You can receive text and email notification messages alerting you of situations at your home. The locksmiths at ARCO Lock & Security can help you with your Utah alarm system in Salt Lake and Utah Counties. *36 month monitoring agreement required on approved credit starting at $39.95/month.